When Wally De Backer first came to Japan with his rock band The Basics, his prospects didn’t seem very promising. So that’s exactly what De Backer did. 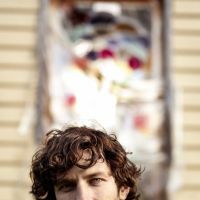 He now records as solo project Gotye (pronounced goti-yeah) and his recent infectious single, “Somebody That I Used to Know,” has had more than 250 million views on YouTube, sold millions of copies, and made the Top 10 charts in 30 countries — including the highly coveted top spot on the U.S. Billboard Hot 100. After all this, De Backer has come back to Japan to promote his new album and a slot at the Summer Sonic festival in August. But if anyone’s surprised by this 32-year-old Australian’s success, it’s De Backer himself. After all, that’s what De Backer does best. “Making Mirrors,” the album “Somebody That I Used to Know” is on, is the result of five years of hard work. It was created over hours and hours spent tinkering with vintage organs and synthesizers, and sampling tiny snippets from records found in second-hand stores near his hometown on the Mornington Peninsula in Australia. “Somebody That I Used to Know,” which also features New Zealand singer Kimbra, came from sampling the guitar break of Brazilian composer Luiz Bonfa’s “Seville.” It took more than six months to make. One thing that’s clear about De Backer is that he’s a perfectionist. The music he makes must satisfy his own sonic desires and when other people like it, that’s a bonus. Despite the success he’s had with “Making Mirrors,” he still seems a bit unsatisfied. This passion, which almost borders on obsessiveness, comes across in all aspects of Gotye’s work, including the live performances he often does with the help of a 10-member backing band. He says that he has only recently felt that after seven years of trying, his live shows are actually good. De Backer doesn’t want to fall into the trap of playing a substandard set just because it’s electronically produced. All his samples are triggered or manipulated live in an attempt to challenge his band and the audience. De Backer’s attention is incredibly focused when he talks about managing every aspect of his live performances. But if there’s one thing he’s unable to control, it’s how people interpret what he does. Do a search for “Somebody That I Used to Know” on the Internet and hundreds of fan-made versions will pop up. Becoming famous can be hard for many people to handle, especially someone who prizes originality and craves creative control. De Backer pauses and laughs; he’s not angry, just a little perplexed. But people bastardizing his work is clearly something he’s given a lot of thought to. He mentions Prince’s “Internet is dead” response of hiring people to take down unauthorized recordings as a way of controlling his image, but dismisses it just as quickly. “On the other hand, that’s heavily imperialistic and goes against one of the things that I find genuinely exciting about the Internet and YouTube and how weirdly mutated things can become,” he says. It’s also difficult to be against the Internet when it’s the medium that helped make him famous. When we discuss the future of Gotye, De Backer speaks breathlessly about the kind of music that inspires him — leftfield and alternative pop artists such as Kate Bush and Peter Gabriel. But the newfound chart hero is acutely aware of commercial viability. De Backer is a pop-music lover at heart and still wants to create his own brand of quirky, catchy songs. But he wants to move in a new direction from “Making Mirrors,” either into more electronic music using only synth and auto-electronic sound boxes, or into a more organic place. De Backer finally stops to take a breath at this point. You can almost feel his excitement at the thought of this whirlwind of fame finally slowing and him being able to record music again. “Making Mirrors” is in stores now. 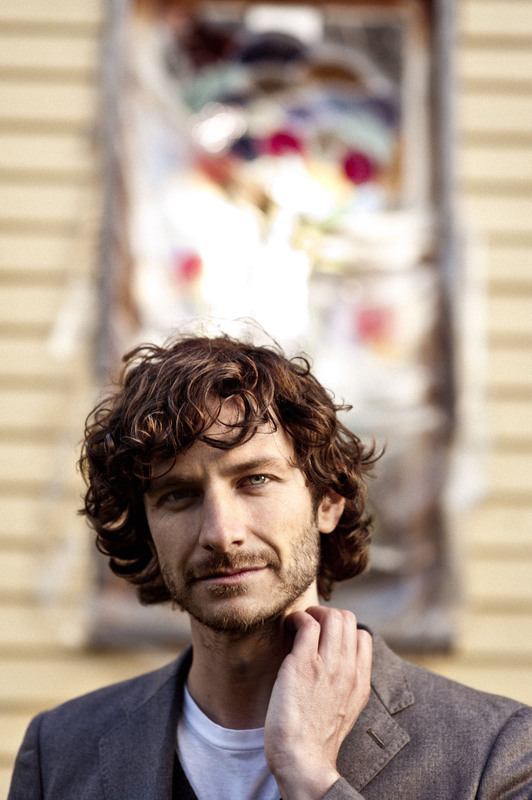 Gotye plays Summer Sonic’s Tokyo leg at Makuhari Messe in Chiba on Aug. 18, and at Maishima in Osaka on Aug. 19. For more information, visit www.gotye.com or www.summersonic.com.